Carrots are undoubtedly one of our favorite vegetable side dishes and there are a myriad of ways to serve them. Raw, on a crudite plate, with lots of dip options, steamed, sauteed, roasted, grilled and, of course, baked into a cake with cream cheese frosting. But mostly we love them roasted whole, to show off their beauty. That, of course, leads to the question of what to roast them with and what flavors to add. They can be plain with just a bit of oil, salt and pepper, served with a cool labneh yogurt dip or sprinkled with a crunchy and flavorful dukkah blend. Even though carrots are naturally sweet, it does not hurt to add a bit more sweetness with some maple syrup, brown sugar or, in this case, honey. Likewise, adding warm spices works well to compliment the sweetness. Moroccan spice blends are flavorful, but not usually hot and spicy. They might include ground cinnamon, cumin, coriander, allspice, ginger, turmeric and paprika, and all can be used together or just a selection to get the perfect flavor blend for each dish. These particular glazed carrots get the bulk of their spice from the cumin and ginger, with cinnamon adding a smaller and more subtle note. But if you love cinnamon a lot, feel free to up the amount to equal the cumin and ginger. There's no wrong way to create your favorite Moroccan flavors. Once roasted, serve these beautiful carrots with a generous amount of crumbled, sharp and salty feta cheese. You can certainly use parsley to add the herb flavor but cool, fragrant mint is common in Moroccan and Middle Eastern cooking, and the blend with the sweet honey is delicious. These carrots are easy enough to make for regular weeknight suppers, but lovely and special enough to serve to company during the holidays. It's unlikely there will be any leftovers. Peel the carrots and trim off the green tops. In a shallow bowl, whisk together the olive oil, honey, ground cumin, ground ginger, ground coriander and ground cinnamon. Add the peeled carrots and toss to coat. Place the carrots on a baking sheet lined with parchment paper, season with salt and pepper and roast in the oven for 20 to 30 minutes, or until the carrots are tender and a light golden brown. 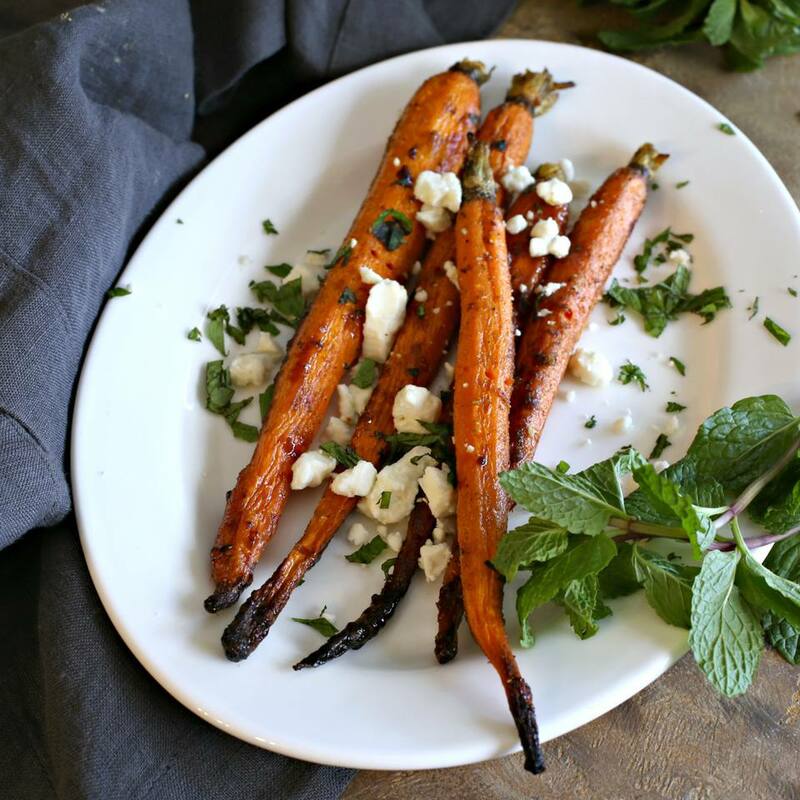 Serve the warm carrots on a platter and top with the crumbled feta cheese and chopped fresh mint.